J. C. Bach’s Symphony in B-flat Major, Op. 9, no. 3. This symphony is one of the three Op. 9 symphonies that were at the heart of J. C. Bach’s second lawsuit against the London publishers Longman and Lukey, who were accused by Bach of producing and selling unauthorized copies of the symphonies. Make up a tune. You can hum it, whistle it, play on an instrument—anything you like. It’s your own tune after all. Or is it? Can you own something that doesn’t physically exist? And could you stop someone from stealing it? In modern times, a whole body of law exists around musical copyright, which protects musicians from having their intellectual property used without permission. However, such protection did not always exist. In fact, the modern-day concept of musical copyright can be traced back to mid-eighteenth century England, when Johann Christian Bach—the youngest son of Johann Sebastian Bach—started a lawsuit to stop a minor theft. Unbeknownst to him, it would end up changing the way we think about music. In modern legal terms, intellectual property refers to material that is the product and creation of the mind. The key principle of copyright law is that it is not the idea itself, but the physical form in which the idea is expressed, that is protected. If, for example, you didn’t write down or record the little tune you just created and someone else heard it and used it to create a song that was then recorded or published, you’d have little grounds for claiming ownership of that melody. While there might be an issue regarding the moral rights of the creator, there would be no breach of copyright law. Problems arise when the physical form exists and yet ownership is disputed. Composers and publishers have been struggling with piracy of their works at least since the emergence of commercial music printing with the Venetian publisher Ottaviano Petrucci in 1501. 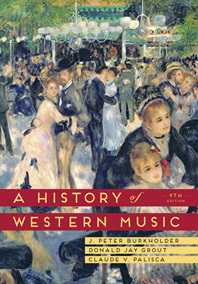 Not only were musical ideas freely “borrowed” by other composers, but also whole works were printed and sold without permission by publishers across Europe. The legal concept of musical copyright did not even exist until the close of the eighteenth century. Until copyright protection existed, composers had to devise their own ways to prevent the production and sale of unauthorized copies of their works. Composers in eighteenth-century England who wanted to publish their music had two options; they could sell it to a publisher or self-publish their works. Most music publishers paid a flat fee without royalties, so musicians who opted for this route would not receive a cut of the publisher’s profits and would derive no additional benefit from the sale of individual copies. Self-published musicians had to bear all printing costs, but were able to maintain full control over publication—including reprints—and continued to benefit from every sale of their score. Unfortunately, unauthorized reprints of popular works could still crop up, diminishing both a composer’s profits and reputation. There were options for composers who wished to mitigate the risk of piracy and loss of profits. One was to issue a second so-called “corrected” edition. (See Illustration 1) However, this required the composer to spend time and money producing a new edition to compete with unauthorized versions already on the market. J. C. Bach found himself in such a situation when music publisher Robert Bremner printed and sold an unauthorized edition of the overture to his opera La Giulia as Periodic Overture Number 15. In response, Bach produced his own corrected edition—virtually identical to Bremner’s—suggesting that Bach was probably more concerned with Bremner’s piracy and the resulting loss of income than with the accuracy of the edition. Illustration 1: The top is Robert Bremner’s advertisement placed in the Public Advertiser on 1 July 1766 announcing the publication of J. C. Bach’s overture to the opera La Giulia as Periodic Overture Number 15. The bottom is J. C. Bach’s advertisement placed in the Public Advertiser on 4 August 1766, announcing the “corrected” edition of the overture to combat the unauthorized selling of the overture as Periodic Overture Number 15 by Bremner. Illustration 2: Title page to J. C. Bach’s, "Six Sonatas for Keyboard and Violin, Op.10" (1773). Bach is promoting his royal position as Music Master to Queen Charlotte and emphasizing the quality of the dedicatee - Lady Melbourne. In 1710 the world’s first copyright statute, An Act for the Encouragement of Learning by Vesting the Copies of Printed Books in the Authors or Purchasers of such Copies, during the Times therein mentioned (also known as the Statute of Anne or the Copyright Act of 1710), was established to protect the rights of authors of “published books and other writings.” The Copyright Act provided authors and booksellers the exclusive right to control the printing and reprinting copies of their works, but for a defined period of time (14 or 28 years). The main purpose of the English legislation, however, was to improve general literacy by encouraging the production of new books that progressed knowledge and public learning. In this regard, it is understandable that musical compositions were not initially protected by the Copyright Act. Indeed, some music sellers and composers may have considered it unnecessary to lobby for such protection since musical works tended to fade from popularity and thus lose commercial value within a few years. The primary sources of revenue generated by a composition came from its initial commission and performances of the piece, rather than through its subsequent dissemination in print—a fact still still true of most modern-day music. The issue came to a head on March 18, 1773. J. C. Bach—one of the most prominent composers in London at the time—filed the first of two legal proceedings against London music publishers and sellers James Longman and Charles Lukey, charging them with unauthorized publication and distribution of two of his keyboard sonatas: one in G major for solo keyboard that was sold by Longman and Lukey as A New Lesson for the Harpsichord or Piano Forte, and one in F major for keyboard and viola da gamba (now lost). The second suit concerned Bach’s Op. 9 symphonies, a set of three symphonies, of which No. 3 was originally overtures to his opera Zanaida. It is the first suit that plays a significant role in the establishment of musical copyright. Johann Christian Bach, Sonata No. 4 in G major, Op. 17. This performance of the first movement from Sonata No.4, which was sold by Longman and Lukey as “A New Lesson for Harpsichord or Piano Forte” by Harald Hoeren, shows how accessible this work is for a good amateur player, and why Longman and Lukey wanted to sell copies of it. The first suit faced various legal delays and challenges. The publishers initially claimed that they were not aware that Bach had been granted a royal privilege, then immediately questioned whether Bach was the true author of the works. (To challenge a composer’s claim of authorship was a common legal tactic at the time.) They also claimed they had ”legitimately” purchased the copies from a local music seller, Adolphus Hummell, to whom Bach had given the works, and therefore should be allowed to continue to print and sell the music, and not have to hand over the “very trifling” profits, to Bach (although the account figures provided to the court supported Bach’s argument that he was losing considerable income from the sales of the pirated copies). In 1774 Bach attempted a different legal tack, appending his own Parliamentary petition to a larger petition by booksellers, which argued that written copyright should apply in perpetuity. Both his petition and that of the booksellers were ultimately unsuccessful. Furthermore, a 1775 court ruling, Stationers Company v Carnan, deemed that the Crown had no power to grant privileges that created a printing monopoly for individuals, which effectively rendered Bach’s royal privilege useless as a means of legal argument. Without the protection of royal privilege and with an unsuccessful parliamentary petition, Bach once again adjusted his tactics: he and his counsel explicitly argued that music fell under the Copyright Act as a form of writing. At last, Bach’s argument met with success: the court ruled that Longman and Lukey must pay Bach all profits from the sale of the two sonatas, and in doing so acknowledged that the works were the exclusive property of Bach. The case was then referred from Chancery, a court of equity, to the King’s Bench, England’s highest court, to clarify whether music should come under the protection of the Copyright Act since any such ruling would establish a legal precedent. 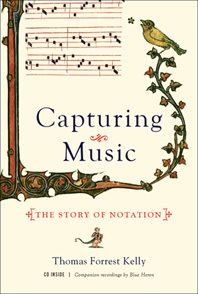 The landmark ruling was made on June 10, 1777, establishing that music was indeed protected by the Copyright Act, as statutory protection was granted to “Books and other writings.” The court determined that musical notation fell into the category of “other writings,” and the ruling treated notation as a form of written language, “visible and known characters” that could be produced and reproduced in a tangible form—a form that could be identified, distinguished, and appropriated. As such, it exhibited the required characteristics to qualify as a form of property. 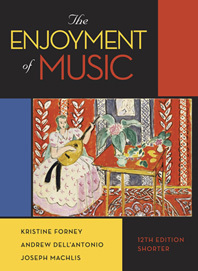 The implications of the ruling went far beyond merely protecting music as a form of written language; it allowed composers to be acknowledged as authors of their creative outputs. Their works were now considered less ephemeral, emerging as a durable, valuable and protectable commodity. Composers still face serious challenges to their intellectual property today. 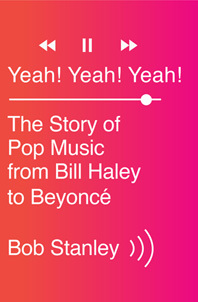 Bootlegging and other forms of illegal dissemination are rife, and even mainstream “borrowing” of musical ideas can be problematic, as several recent high-profile legal actions in the pop music world demonstrate (e.g. the lawsuits concerning Pharrell Williams and Robin Thicke’s song “Blurred Lines” and Ed Sheeran’s songs “Photograph” and “Thinking Out Loud”). But at least now composers have some legal recourse to protect their works, thanks in large part to Bach’s efforts. Unlike ownership of physical objects, ownership of musical intellectual property only lasts for a set period of time. How long is it fair for composers to own the right to control the use of their music? When should it become “public domain”? Modern musical copyright infringement cases often rest on similarities between melodic lines or chord progressions, but some have argued that there are a limited number of consonant melodies or chord progressions available. Does musical intellectual property restrict the ability of later composers and songwriters to create new works? 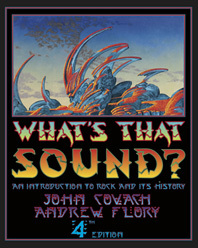 Modern music is often disseminated in electronic form (e.g. via the internet) without permission. How can composers protect their intellectual property in an environment where unauthorized dissemination can be rapid, prolific and global?